Just a quick post about my weekend, not a competition post . Learning based to enhance my knowledge to enable me to enhance the SSK students. 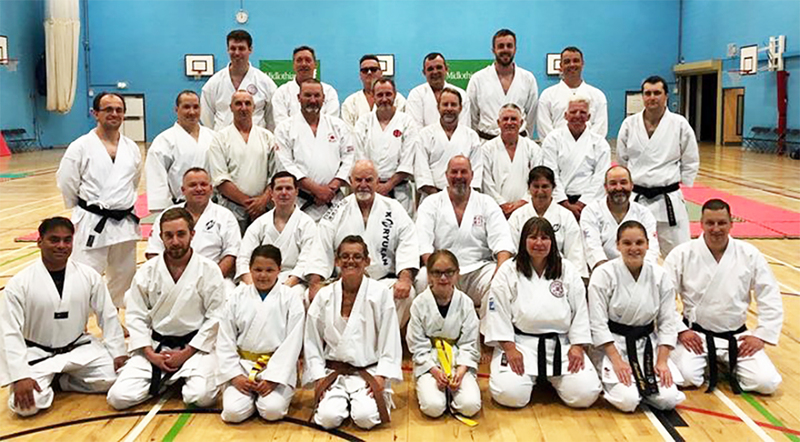 This is my third year of going across the border to the sunny delights of Scotland for a weekend of training with Hanshi Patrick McCarthy. For those who do not know who Hanshi McCarthy it easier to google him. 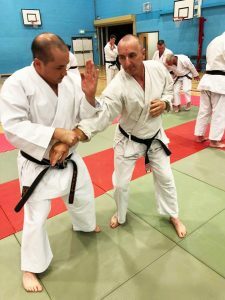 Training in the confines of the very impressive Lasswade Centre, both days consisted learning two person drill applications associated with Tsuki-naka kata ( means to penetrate the middle). The kata is a white crane kata/exercise from Yongchun developed by the Pan family, other katas from that village that you may be more familiar with include Papupren and Nipaipo. 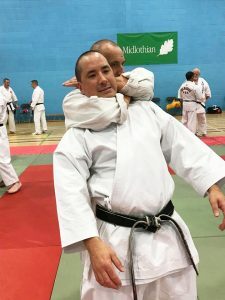 Hanshi McCarthy teaches karate as it was orginally intended when it was orginally developed in Okinawa,through kata and is associated two person drill. Listening and learning from Hanshi is unbleivable experience, he is a walking encylopedia of karate. 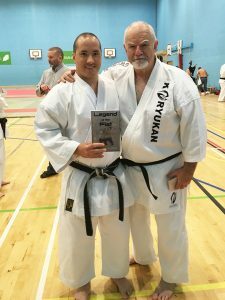 I was lucky enough to be sat opposite him at tea Saturday evening listening to his time in Japan and the history of karate and its master. Shorts and sweet post but as they say Fu Jen Gi ko.